as you probably know from all my autumn themed posts and me rambling about it all the way, i am so happy thats its finally chilly outside. personally, i prefer dressing in autumn and in general, i’m feeling this october way too much. 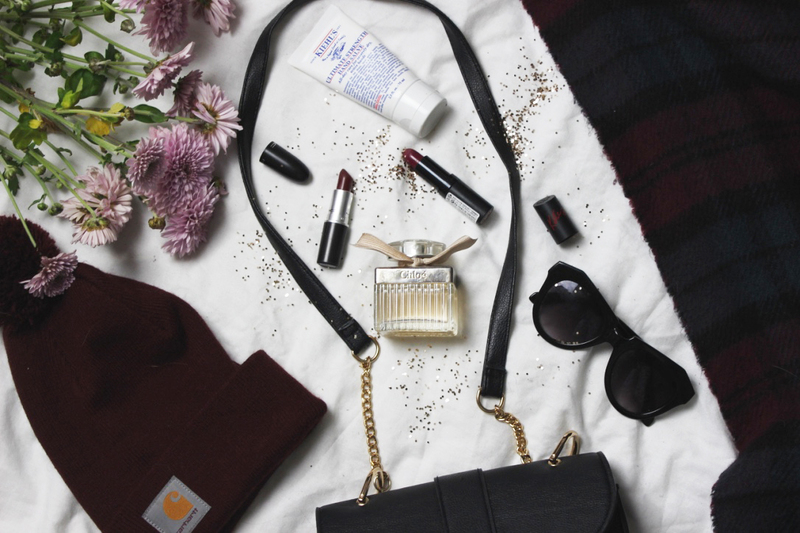 since i’m gonna be doing lots of seasonal blog posts every season, i felt like sharing my autumn handbag essentials with you today. 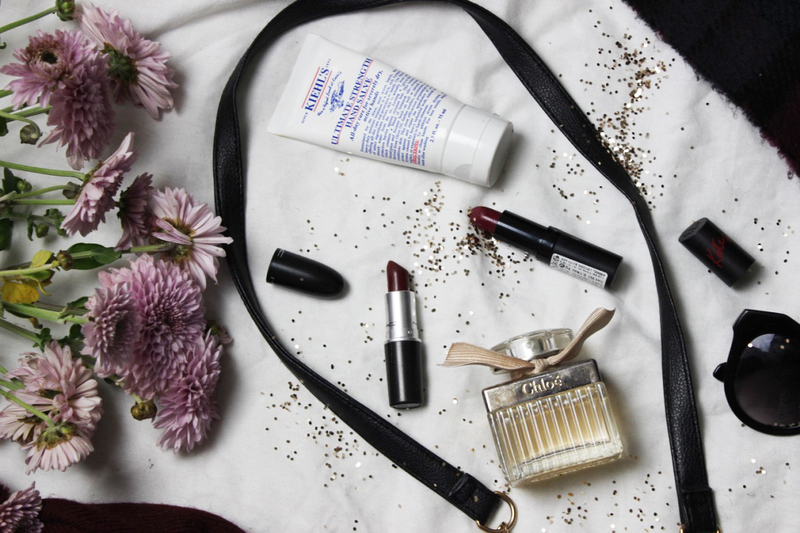 another thing i just love are “what in my bag?” videos and blog posts. they are pretty old school but i love them so much so i’ll probably be doing them every now and again so i hope you enjoy them too. when i’m not at uni which requires a huge bag, i like to opt for smaller ones. i tend to over pack on a daily and i really don’t need a variety of drinks and random junk when i’m out for a shopping trip or lunch with a friend. this little primark number is just perfect. 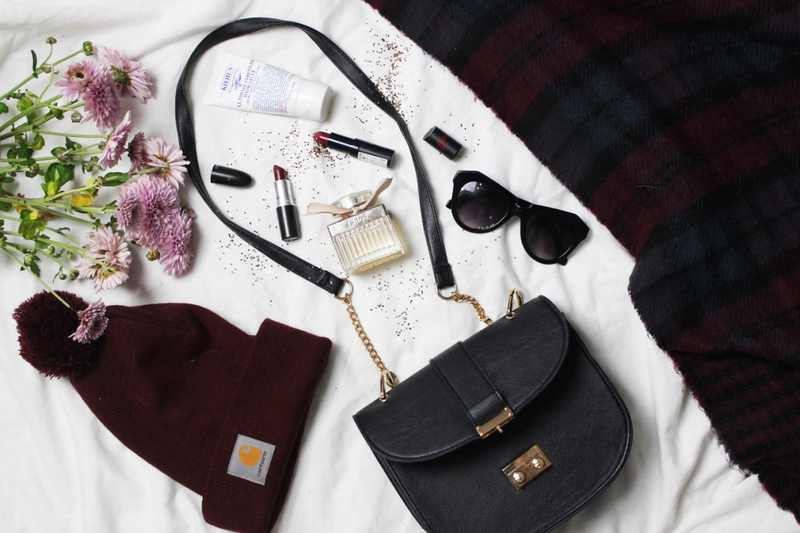 its obviously a dupe for the chloé drew bag but i love it. i picked it up last year but i’m pretty sure primark does similar ones this season too. one thing i just love so much about autumn is being able to snuggle up in a blanket size scarf. i don’t carry it in my handbag but its an essential. i get mine from primark too. they are cheap, cheerful, snuggly and last so super long and primark brings them out every year too. i also always have a beanie or hat of some sort with me. i can get super windy here and my ears are very sensitive towards cold winds so i just pop on a cute beanie to be toasty and to make sure m hair doesn’t get all over the place. carhartt does amazing ones and is by far my favourite brand. their beanies come in all colours and are super soft and look so cool on everyones head. i obviously carry multiple lipsticks with me. 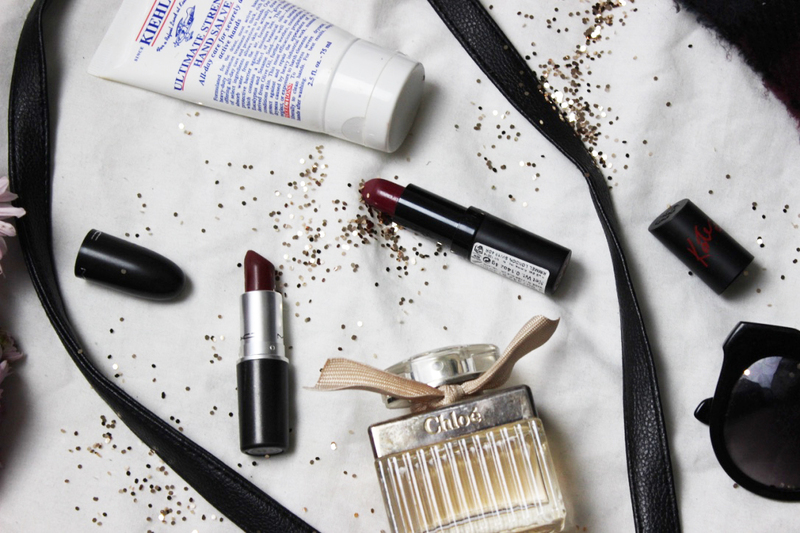 mostly, dark shades like deep reds and berries because as i’m a bright lipstick lover, i like to wear them as much as i can. mac diva is such an autumn classic and rimmel kate moss in 30 is very similar but has a shine and a bit more berry in it. my hands just get dry and nasty as soon as the temperatures drop and i need a thick and good hand cream. only one managed to give me the results i wanted and its the kiehls ultimate strengh hand salve. i have multiple ones in almost every bag. its a very rich and thick hand cream but it works wonders. most days, i also carry my favourite scent and lately i have been going back to the orginal chloé. its mostly floral notes but is has something so crisp about it that it suits the colder months just as well. so here we go. 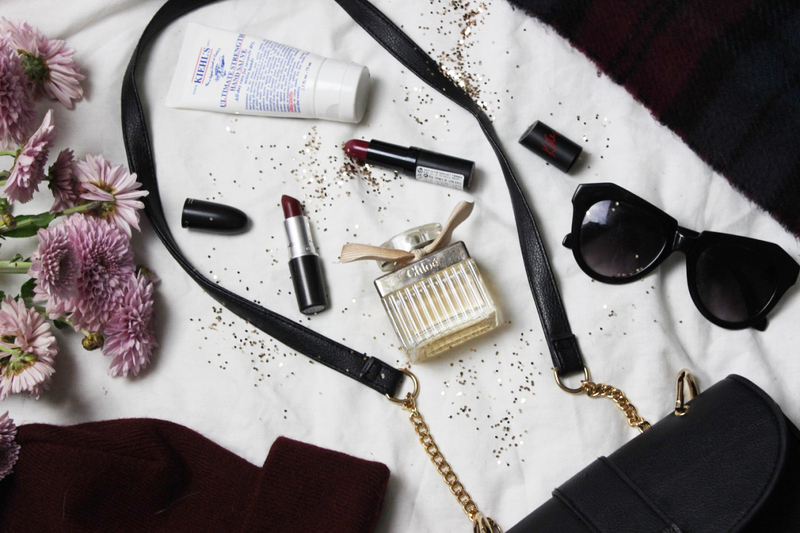 some of my handbag essentials. what do you think? 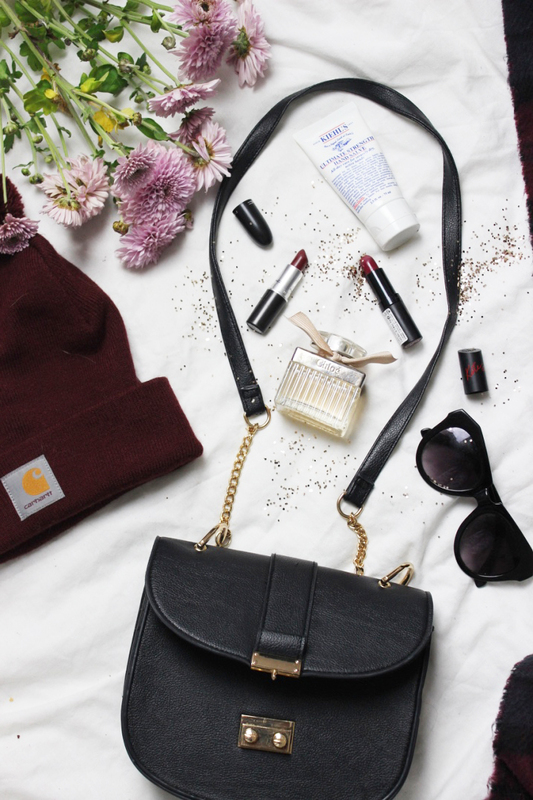 do you have any essentials you can’t leave the house without? let me know!